If great performance, outstanding reliability and reduced environmental impact and waste are high on your printing priority list, the Epson Workforce Pro WF-C869R could be the copying solution you’re after. Epson have worked tirelessly to create an inkjet printer that’s capable of handling mid-high monthly print volumes. Complete with a 7 inch touch screen control panel, even the technophobes among your office will be able to easily get along with the Epson WF-C869R. To ensure full security and GDPR compliance, multiple users can have access to the machine, each with their own unique authorisation code. That means an end to sensitive documents being left on the printer by mistake. 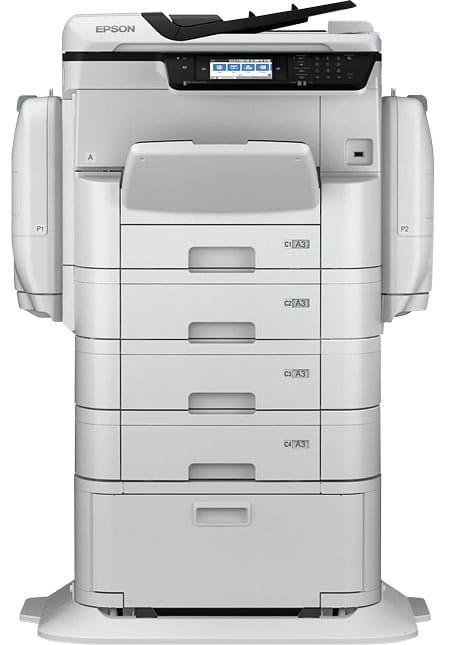 The sheer diversity of the Epson WF-C8689R is sure to make it a firm favourite within modern offices. Printing up to 35 pages per minute in mono or colour and giving users the ability to feed 50 pages at a time for express copying and scanning will help your office stay on track even in the busiest periods. Want to be able to take advantage of Airprint and print anywhere in the world? 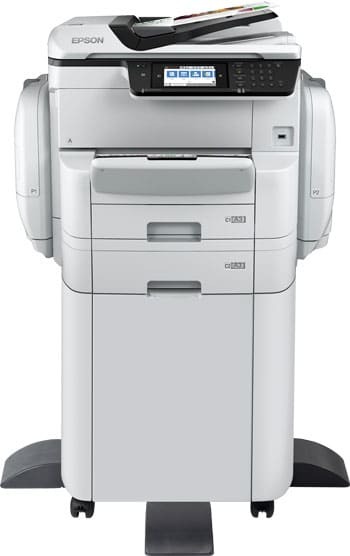 The Epson WF-C869R can handle it. Need your printer to be able to copy on both sides of a piece of paper? Duplex printing is no problem with the Epson WF-C869R. Need to print across a variety of paper sizes and paper weights? You guessed it! The Epson WF-C869R will deal with it. Hold on, are you sure an inkjet printer can do all this? Think inkjet printers can’t cope with business requirements as well as laser printers can? Think again! 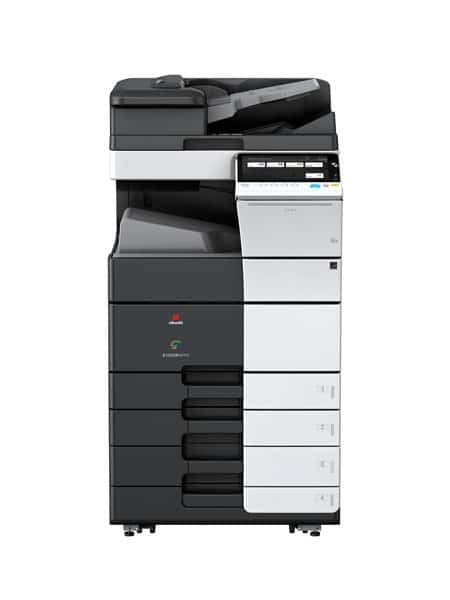 The Epson WF-C869R has been developed from the ground up to give you all the cost saving benefits of an inkjet printer, with all the business performance of a laser printer. That means less maintenance and less downtime. Inkjet printers are up to 3.5 times faster than laser printers, have energy consumption up to 95% less and also reduce waste by up to 99% due to less consumables being required to keep the show on the road.